80% of all learning during a child's first 12 years is visual. Without the ability to see clearly, thousands of central Iowa students struggle to learn to read. And students who are not proficient in reading by the end of third grade are more likely to drop out of school. Vision To Learn provides two free pairs of eyeglasses (one pair to take home and one to leave at school) to students who need them. A trained eye care professional provides a modified screening exam with a full refraction for students who would otherwise not receive vision care. One small thing—glasses for a student in need—can lead to a bigger thing—reading proficiently by the end of third grade—which can lead to a much bigger thing—a high school diploma and the chance to succeed for the rest of their lives. 95% of first-graders in low-income communities who need glasses do not have them. Vision To Learn serves schools that have at least 50% of students that qualify for free and reduced lunch. Nationally, 89% of kids served by Vision To Learn live in poverty and 87% are students of color. Without the ability to see clearly, thousands of central Iowa students struggle to read. And students who are not proficient in reading by the end of third grade are four times more likely to drop out of school. 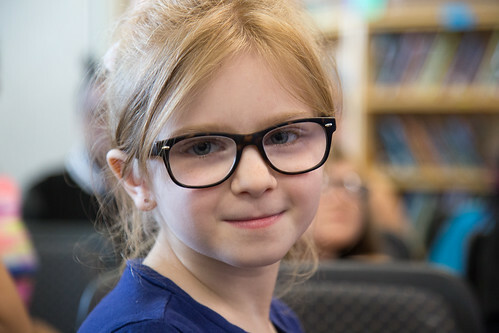 Providing kids in need with glasses is a proven strategy for increasing reading skills. United Way of Central Iowa's goal is to expand Vision To Learn to all eligible schools in the next two years. Vision To Learn is part of READ to SUCCEED, United Way of Central Iowa’s multiyear campaign to increase third-grade reading proficiency in central Iowa to 90 percent by the year 2020.